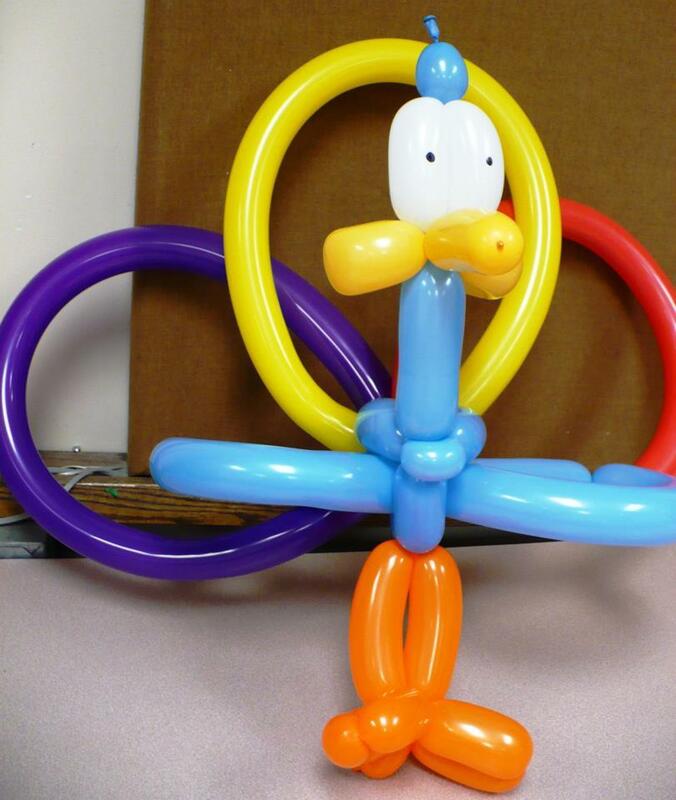 Balloon twister James Wiske whipped up this listener request: a peacock. 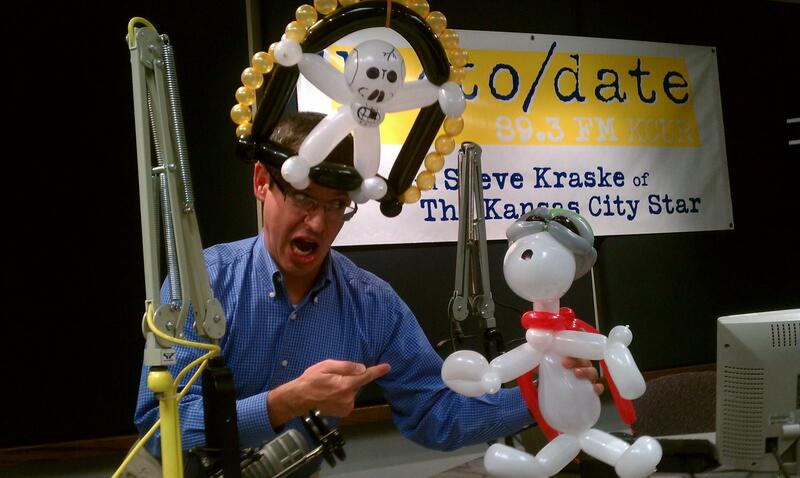 An Up to Date listener asked balloon artist James Wiske ("The Amazing Christopher") to twist up John Brown. Done. 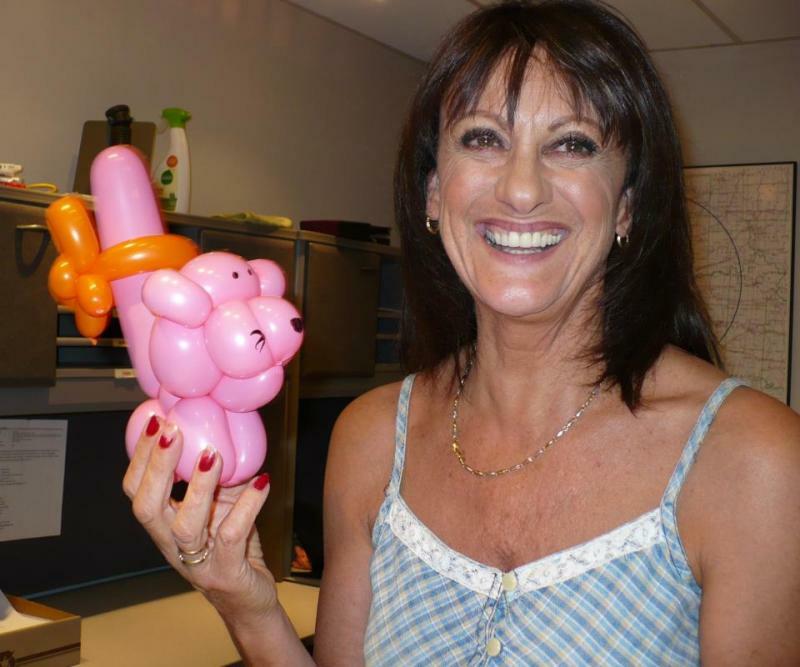 KCUR midday announcer Kim Noble and her favorite balloon animal: a kitty. 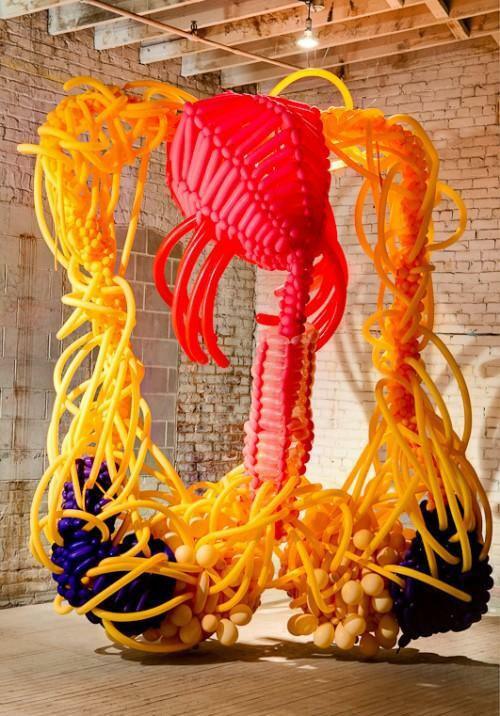 Willy Chyr is not your typical balloon artist. 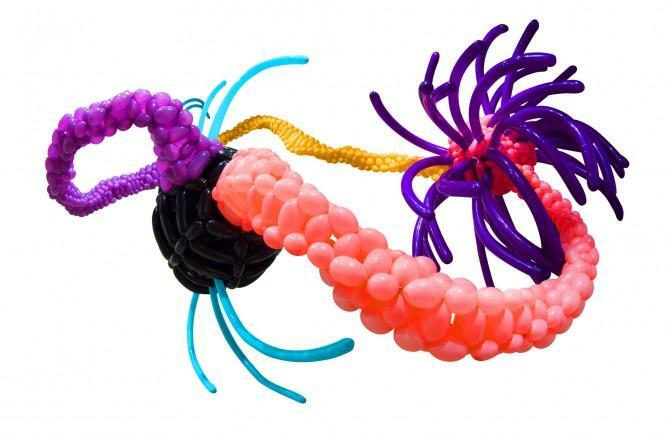 While wiener dogs, flamingos, and funny hats are fine for your average balloon-twister, Chyr is more likely to take on microscopic organisms and blow them up to a monumental scale. 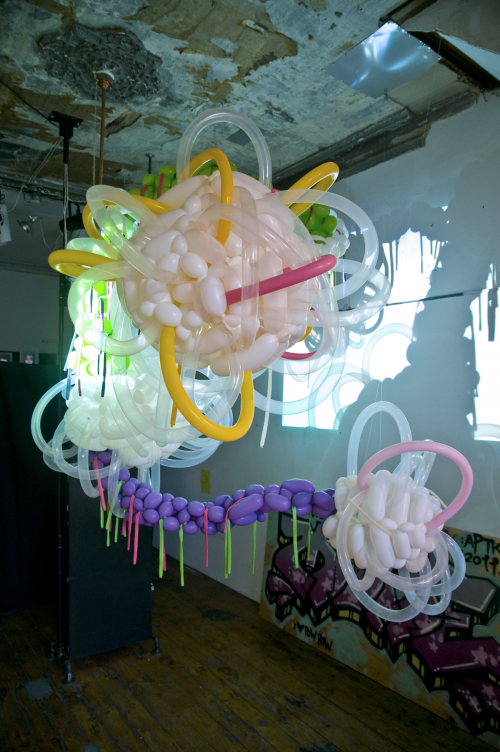 Friday in the second half of Up to Date, Steve Kraske welcomes Willy Chyr to talk about his new balloon work hanging in the Lawrence Arts Center and about elevating the art form of balloon animals to new heights and the attraction to microscopic life forms. 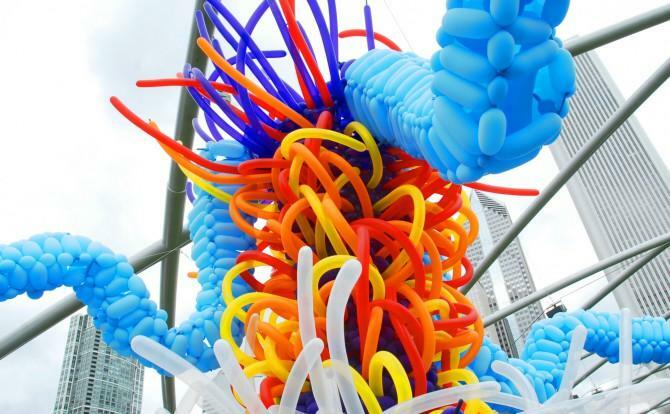 Plus, balloon artist James Wiske (better known as "The Amazing Chris" joins us in-studio for a live demonstration of balloon artistry. 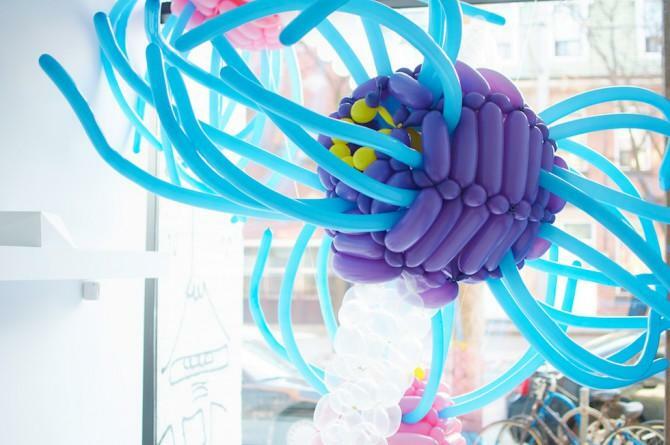 Think you can stump our balloon artists? Call/write/Tweet in and request a sculpture, we'll make it on-air, and post the pictures on KCUR's Facebook Page! Our number: 816 235 2888, email uptodate@kcur.org, or Tweet us @KCURUptoDate. Willy Chyr is interested in generative art, storytelling, and the intersection of art and science. He holds a B.A. degree in Physics and Economics from the University of Chicago. While a student at the University, Willy joined Le Vorris & Vox Circus and performed as a juggler, unicyclist, and magician. 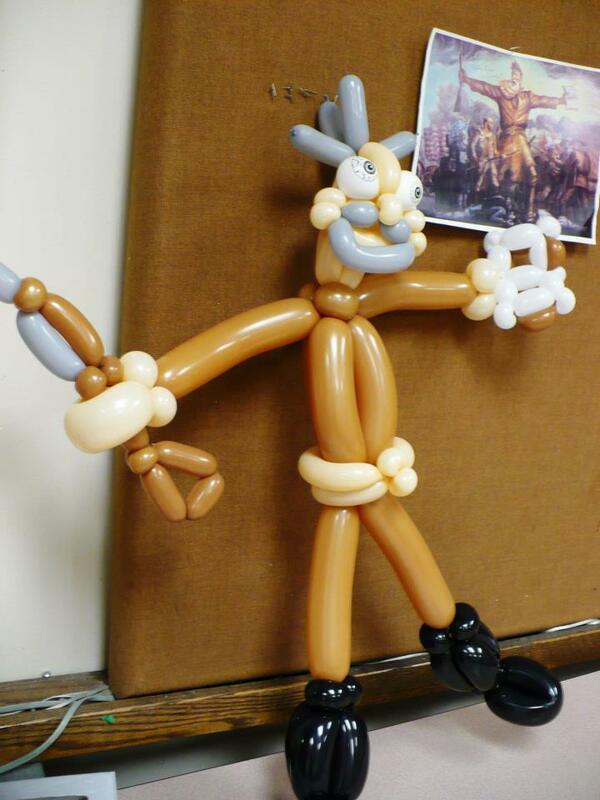 It was during his time in the circus that Willy learned how to twist balloons. He is currently based in Chicago.